You will find many different needlecraft ideas here. I will try and include something for everyone no matter what your speciality is. There are so many different ones that I can't cover them all. I will be adding more subjects all the time. Some of the projects here were sent in by crafters like yourself. To begin with, I will try and cover fabric crafts, sewing crafts, felt crafts, yarn craft, crochet, embroidery, quilts and cross stitch. No two people do something the same way so if you have any ideas please contact me and I will include it here. There are so many great crafters out there that have ideas or projects to share. Lets make this a site where everyone can learn. Would you like to show the world your favorite needlecraft? Itâ€™s free and easy. Please click here to show the world. I have done most of the crafts I talk about here but some of them are fairly new to me. I just started making quilts a few years ago and I got hooked! I will show you how I got started and learned how to do quilting. Please refer to the links down below for the craft that you are interested in. Occasionally I will suggest a certain book that has been very helpful to learn techniques. Please check them out. 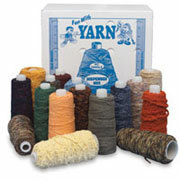 There are many different areas of needlecrafts and I will be adding more all the time. So check back often. Just take your time and your creativity will show through your own needlecraft designs. Have fun making your own crafts!! If you have found any unique tips and want to share them please contact me and I will add it here. Also, if you have any questions I will try and answer them or find someone who can. As I keep saying just have fun with crafts and don't be afraid to make mistakes. Check out the crafts below and come back often because I will be adding more all the time. You can learn how to quilt from this video that shows you in a easy way. Learn how to stiffen crochet the easy way. With these easy instructions you can make a felt doll without seams. Decorate your own apron with embroidery and save a ton of money. Take an old picture frame and turn it into some beautiful for those very special pictures. This needlepoint crafts article gives you information and resources on a very old craft. A great way to help the environment is to make your own cloth napkins. It is very easy to learn to crochet for beginners with these easy instructions. You can wash cross stitch with just soap and water if you are careful. Turn your old blue jeans into a pretty little apron. Grocery Bag Holder Make a cute holder for all those plastic grocery bags you get at the store.